For most people, one thing about getting older that they have thoroughly not enjoyed has been the pain they now feel in their back constantly. Back pain gets more common as you get older, and often, our work, posture, and exercise habits (or lack thereof) do not help much. Experts have concluded that back pain isn't the result of one thing in particular but rather a number of different injuries and stresses that accumulate until the body can no longer adapt. Most people would say pain is a warning sign of something bad to come; that's not true, it is the end result of a long time of degeneration. Think of someone having a heart attack, for instance. The chest pain that accompanies that isn't a warning to change your diet and exercise more. It is more commonly the last thing you experience prior to death. Back pain is similar. Studies have shown that the vast majority of people walking around with no pain have disc issues at one or more levels of the spine. 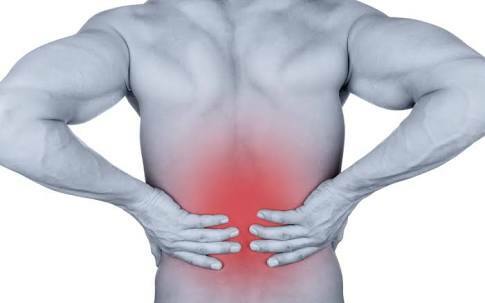 All that is to say, if you’re experiencing back pain, there’s likely something wrong. Here are a few issues it could point toward. Modern work environments aren’t exactly conducive to back health, to say the least. Looking at a computer screen requires a forward head posture. This head-reaching in turn strains our necks and middle backs. You can prevent this by sitting close to your computer — if your elbows are bent at 90 degrees to touch the keyboard, that’s about the right distance. Your screen should also be eye level, so you don’t have to look down at it. If you start to get uncomfortable, get up and do a mini backbend by putting your hands on your hips and rolling your shoulders back over your pelvis. Bending at the waist to lift things up stresses your lower back. The twisting motions you might make to carry things around weighs your spine down, forcing the discs backward and to the side, leading to lower back pain and nerve pain. So, if you’re traveling with lots of bags, don’t be too proud to take the elevator or a cab. You can get your daily steps in once you’ve put your bags down. Weak pelvic floor muscles are associated with lower back and knee pain. If your pelvic floor muscles aren’t keeping all the forces pushing down at your hips in control, your back muscles might try to compensate and strain themselves. You can help tone up your pelvic floor by doing kegel exercises, which involve repeatedly squeezing and releasing the muscles that stop you from peeing. What pretty much all these problems come down to is bad posture. If you’re slouching or straining your back consistently, your discs get moved around and worn down over time. Try to stand the way you would against the wall, with your feet shoulder-width apart and your shoulders back. Car accidents, sports injuries, falls, and other events are often the straw that breaks the camel’s back — no pun intended — for people with back problems that have been building. You may not feel severe back pain during the accident, but small injuries can worsen over time. Emotional stress affects us physically. In addition to changing our posture and causing muscles to tighten, it also causes a chemical release of cortisol in our body, which has many damaging effects. If you’re dealing with chronic back pain, Health This Moment recommend the cat-cow yoga position or hugging each knee to the opposite shoulder while lying down. If this article helped you, please do share.